Handsome Rubber Trees have dark green glossy leaves and are great at removing toxins from the air. They love a warm position with bright light, but are OK in moderate light. Water once a week. These pots have been triple planted to create a bushy effect. 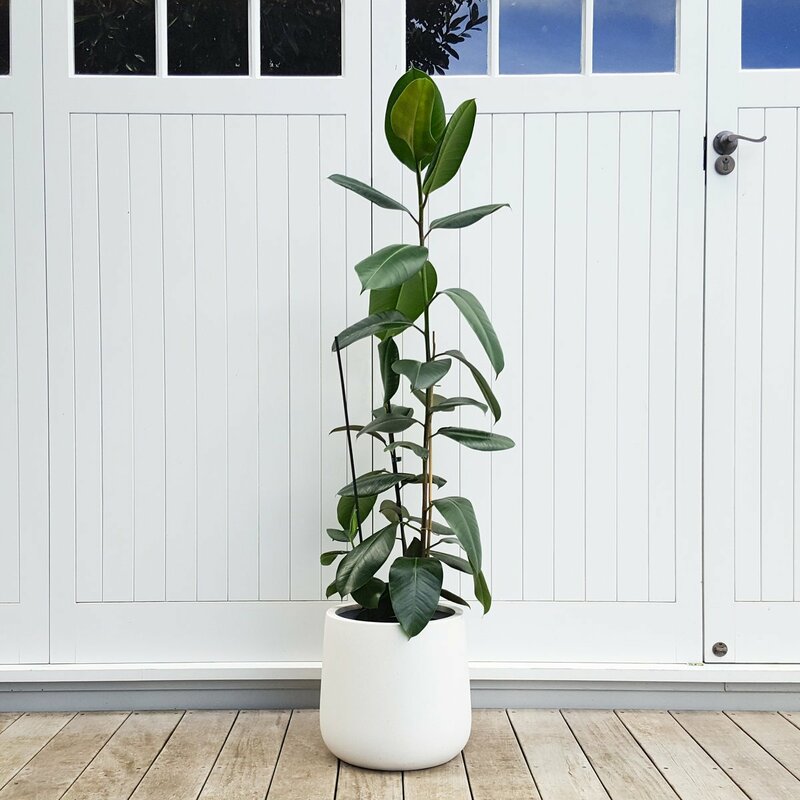 We’ve these Rubber Trees with the chic Bianca Cylinder Pot. These pots are warm white with a smooth speckled stone-like texture, and are made of mineral particles and lightweight fibreglass. Pot dimensions: 34cm diameter and 33cm tall. Internal diameter (hole) at top is 28cm. Dimensions including plants: 45cm wide by 1 metre tall approximately.